An underwhelming version of a potentially interesting game. I will freely admit that I put a stupid amount of time into the Warriors franchise. While the themed entries are more enjoyable, this isn't for the reasons you might expect. Lately, it seems that Omega Force stopped about regular entries and simply just flung them at a screen. In a desperation move to see what sticks, these guilty pleasures have lost their way in a few areas. Warriors Orochi 4 is one of those games. Mechanically not terrible, but it lacking a lot of polish. Shamefully, with how many Warriors there are on the system, this one doesn't rank high despite certain ambitions. The Orochi series sounds, in theory, like quite a winner. These games bring a variety of characters together from both the Dynasty and Samurai series as well as other non-Japanese mythical angles. The gigantic story mode sees you passing by 170 characters, which mostly has returning players like myself excited. Anyone outside of that umbrella may raise questions about some of these figures. I can't exactly blame them as the selection screen can give a confused look or two. In either case, the story is mostly told as visual novel with Japanese voice acting and English subtitles. It never becomes anything particularly thrilling, but I enjoyed myself reading the text presented. As with any good Warriors though, you’re here to press buttons and make combos to no end. If that’s what you're searching for, this game will serve you fine to some extent. 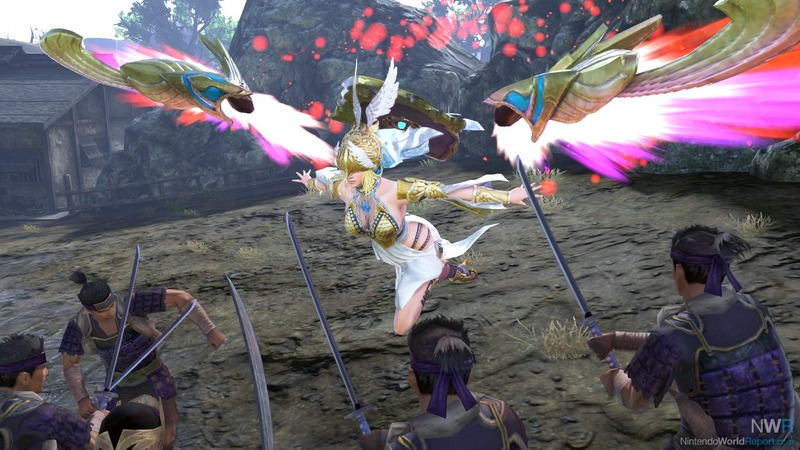 You will string your Standard, Musou, Magic and Charge together to perform some flashy feats. To keep the action from growing stale, you will be able to switch between three characters that will help each other during the course of action. The usual goals apply like any other Warriors game: destroy a dumb amount of enemies, take over all the keeps and head for the total annihilation of a boss. Pull this off successfully and you've cleared a map. The rhythm of destroying enemies is very enjoyable, and I wouldn't have it any other way. What helps is that the process from battle to battle is more streamlined, allowing you to immediately hop into another. The amount of characters present is certainly impressive, but I can't really sit and claim here that every single one is unique. The overall feeling is that Omega Force has put character types into camps, and tried to make minor changes to each figure in it. The success is somewhat mixed as there are characters that feel almost exactly the same. Yes, there are a few different attacks, but the way they approached it wasn't that much of a life changer. That still leaves you with plenty to choose from, but I don't think a completionist will have a much better time overall. While I spent hours testing the majority of the characters, after two thirds I felt I had seen most of the tropes present. Fast characters were most my forte as I could play rather aggressive and get the job done quick. In comparison to some other Warriors games, the menus between those battles aren't the best. You will find skill trees and inventory slots, but it is hidden behind somewhat annoying menus. I feel that more than anything else, upgrading is a matter of absolute importance in Warriors Orochi 4. Between leveling and adding skills upon your characters, it is presented in a RPG-esque way. It assumes that you know what you're looking at. Personally, I got the hang after a bit of work, but at no point was it anywhere close to intuitive. After this many entries, the process just needs to be that tiny bit snappier. When it comes to the presentation, Warriors Orochi 4 doesn't rank too favourably. The game doesn’t look visually stunning on the Nintendo Switch and pop in was quite a regular thing. It is clear that compromises had to be made, but in the world were multiple Warriors titles exist, Warriors Orochi 4 leaves you wanting more overall. Another problem is that the frame rate has a tendency to slow down when you use a lot of abilities at once. These are things you can deal with, but it becomes progressively worse in time. Near in the end of the game, the insides of building had come in on the fly, which is simply mind boggling. With cumbersome menus and an underwhelming performance, I can't really recommend Warriors Orochi 4 that highly. It is impressive that the game retained all of its content, which I gladly shower praise upon. The gameplay is neat and the flow from battle to battle is rather solid, but the problems drag the experience down harshly. The story is take it or leave it and Warriors Orochi 4 isn't too welcoming to newcomers in general. If you are a fan of the Orochi games and have a need for this on the go, I guess the Nintendo Switch is the only way you can go. However, in every other instance, there would be other versions of the same game I would recommend more. I've been enjoying the game but I don't buy a lot of Warriors games. I've played enough of them that I kind of just shrug when I see a bad frame rate and cryptic menus. I realised that they're the only company that I get excited when they add in basic things like co-op well. Even so I'm happy. Wow I went on a lot there. Shame about the performance issues. I still don't have Fire Emblem Warriors, so I should probably get that first.